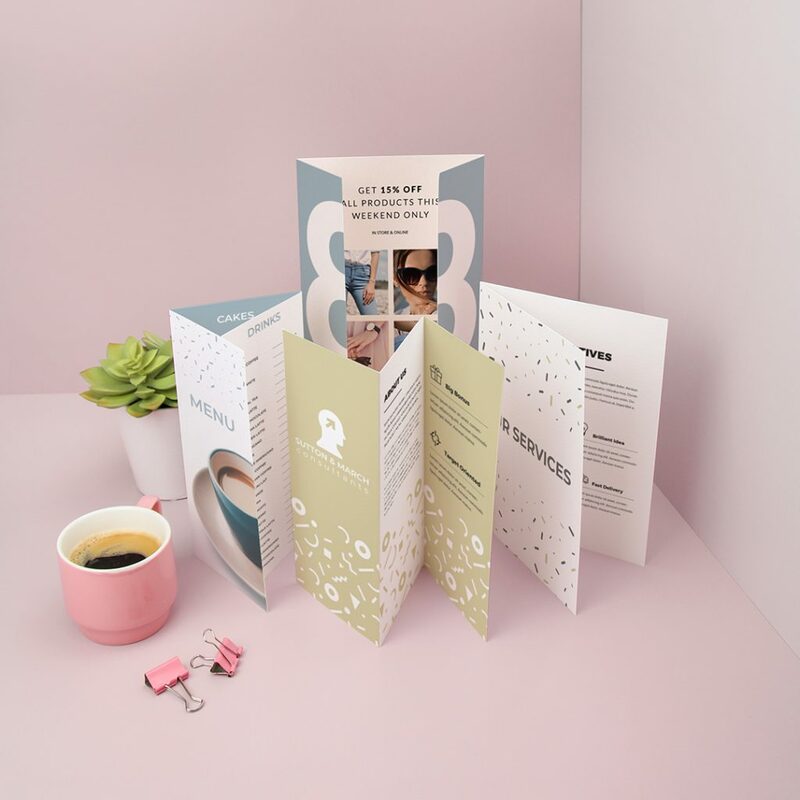 With a new season in sight, we’ve rounded up some of the most affordable ways to give your businesses a seasonal overhaul with print. 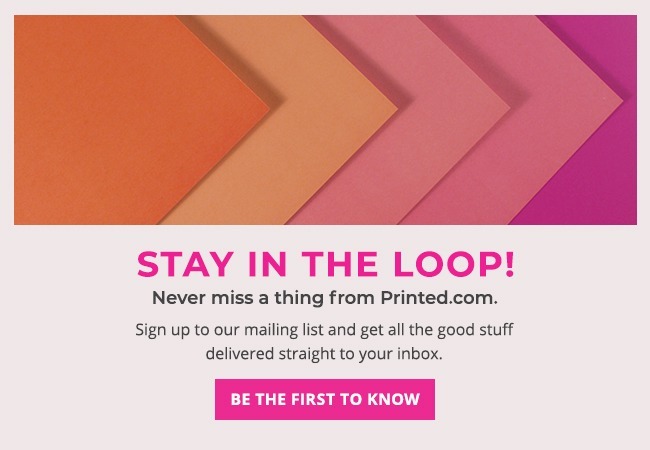 Whether you’re getting your Spring/Summer collections sorted or thinking about your sales and promos, a new season brings loads of opportunities to refresh your brand. 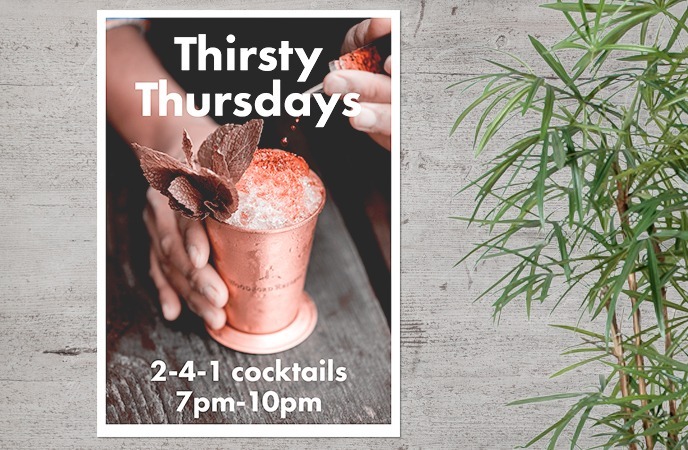 If you want to get a handle on the trends for 2019, just head here! If you’ve got a product offering, a lookbook is key to showing off your stuff. 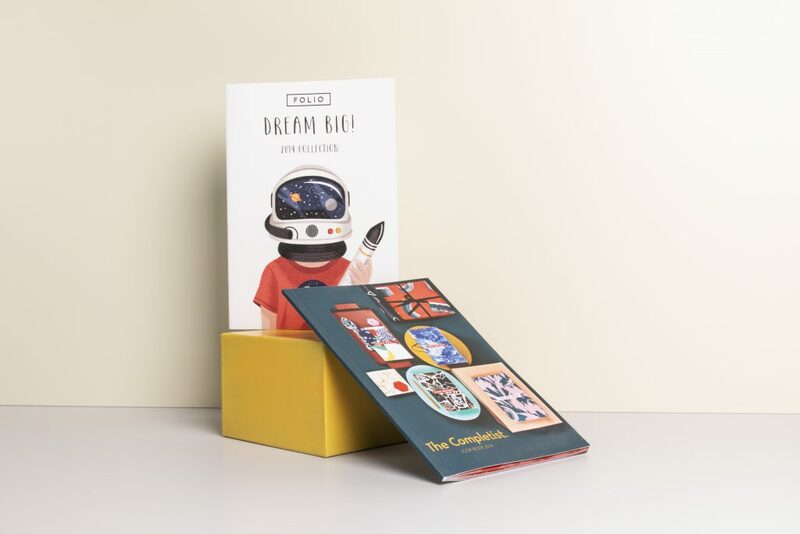 We saw hundreds of lookbooks at Top Drawer 2019, and we just had to show you these fabulous creations from our very own customers FOLIO and The Completist. 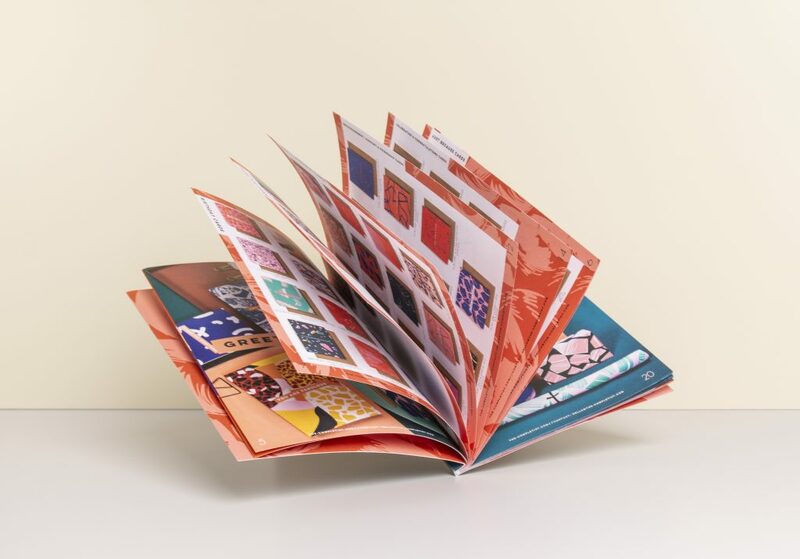 Go Saddle Stitched like FOLIO or Perfect Bound like The Completist – the choice is yours! Plus, we’ve got loads of paper stock choices to make sure yours are as unique as your business. 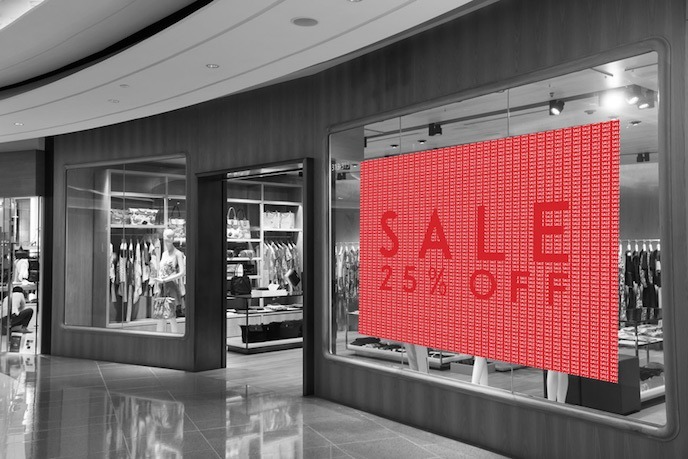 When it comes to retail, large format print is essential. If you have a storefront, or are looking to exhibit at events over the coming months, you’ll need tour messaging to be high impact. Ideal for everything from product displays, to feature walls and a super easy way to decorate exhibition stands, you can add whatever you like to yours! Choose a logo-branded backdrop, bring your patterns and designs to life, or keep it simple with some imagery, the choice is yours. Oh and we also offer reverse-printing too, so you can stick yours in your shop window! Affordable, easy, and they come double sided for twice the impact! How about adding a sale message on one side and a regular ongoing promotion on the other for multi-use print that won’t break the bank? 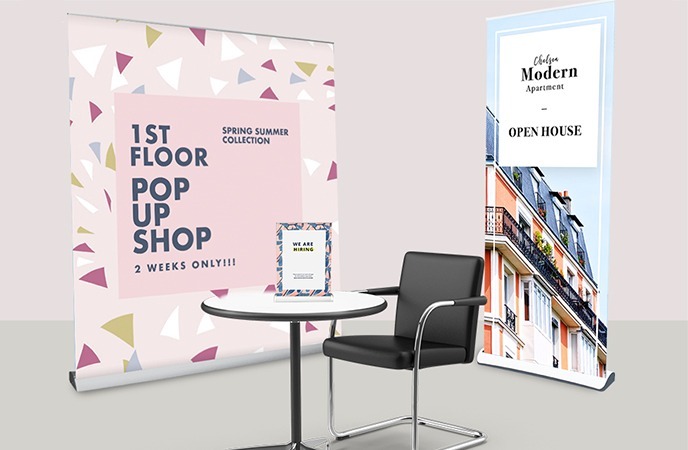 Ideal for changing the seasonal displays in your shop, or bringing along to exhibitions, a portable, lightweight Roller Banner takes up minimal floorspace, but offers maximum impact. Keep yours generic, and use it time and time again! These little prints might not be the first thing you think of when you think about your retail print essentials. But, if you’ve got space (on your till point or at an exhibition) these space-saving prints offer a compact way to get your message across. As we move into a new season, why not update some of your branding essentials, like Business Cards, Compliment Slips and Postage Labels? 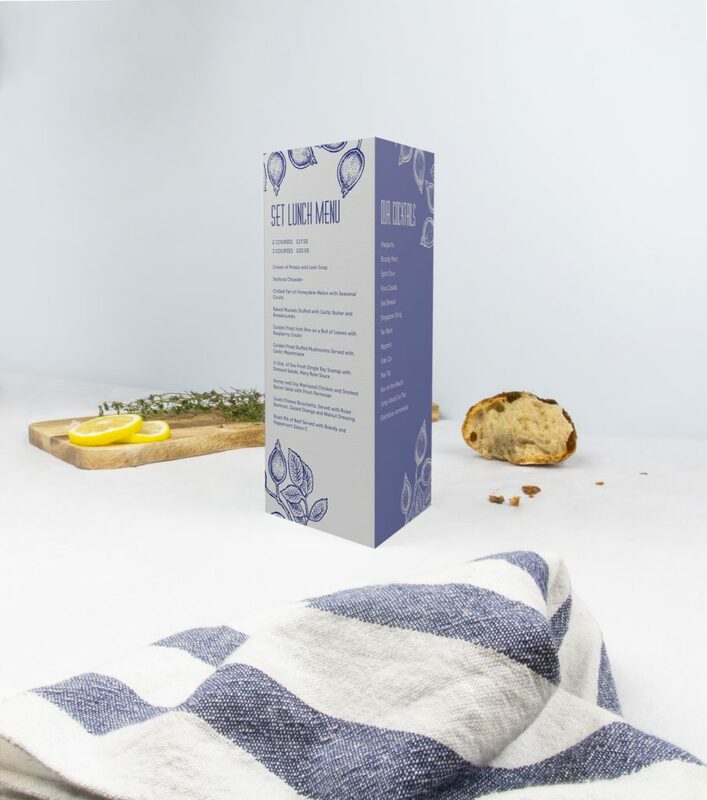 Add a summery twist and show your customers that every little detail has been considered. No one wants to hand out Leaflets in the cold, rain, or even snow… but sunnier climes are on the horizon, making Leaflets and Flyers the ideal way to spread the word. And, as an added bonus, if you hand ‘em out yourself, you might even catch a tan! The start of a new season brings an opportunity to think a little outside the box. A s a retailer, you could design some spring/summer marketing that’s a little different to the rest. Perhaps it’s an early evening preview, marketed with some luxe Postcards? Maybe it’s a summer-only loyalty scheme, with some handy double-sided Business Cards? Perhaps you’ll go Bespoke with custom cut tags featuring a summer deal? Whatever you’re creating, we hope you’re as excited for a new season as we are – and don’t forget that we love to see what you create. Tag us using #ProudlyPrinted to show off your new season stuff! Feeling inspired? Shop the Retail Collection right here. It has everything you need to get ahead for Spring/Summer and beyond. Monika is the digital design pro at Printed.com. With a love of everything from creative brainstorming to tweaking screen-perfect pixels, she’s a self-confessed perfectionist when it comes to keeping our branding in-line.